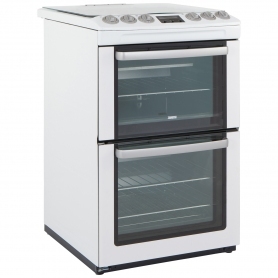 This Zanussi gas cooker is the perfect addition to any family kitchen. It has a spacious capacity, plenty of safety features and an LED display. 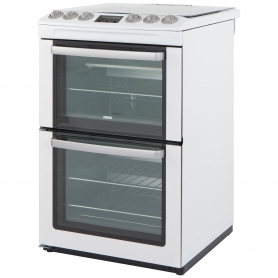 The ZCG552GWC has two ovens, which give you plenty of space – ideal for preparing complex meals. The top oven has a 34 litre capacity, while the bottom oven has 77 litres of space – plenty of room for cooking your Sunday roast. Both ovens are gas powered and come with viewing windows so you can keep an eye on your food at it cooks. Zanussi’s multizone cooking means, excellent results every time. 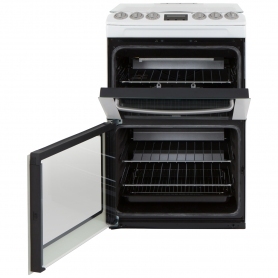 The upper cavity has an integrated grill, which comes with a full width roasting pan. The front of the cooker has an easy-to-read digital clock, a timer in the middle and six rotary dials that give you complete temperature control. The hob has four burners of various sizes. There’s a simmer burner, a rapid burner and two semi-rapid rings. These give you fantastic results every time. This top-quality hob supports enamel pans and has integrated automatic ignition. There’s also a lid, which can be lowered when the burners aren’t in use – a great safety feature. 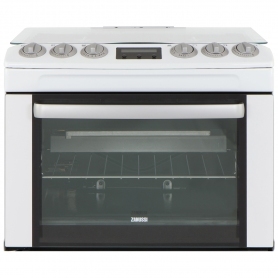 Not only is the ZCG552GWC an incredibly versatile oven, it’s also easy to clean. The cooker comes with catalytic liners that absorb grease to help the cleaning process. Keeping your cooker well maintained has never been easier. 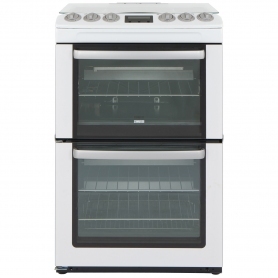 This double cooker has a clean white finish that looks right at home in any kitchen. 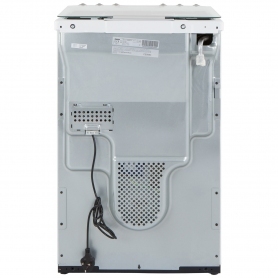 The ZCG552GWC is the ideal choice for large families and busy households. 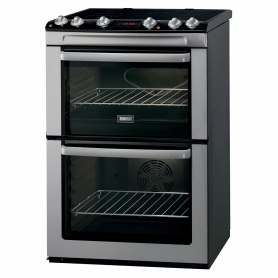 To get your hands on this excellent home appliance from Zanussi, just click Add to Basket.